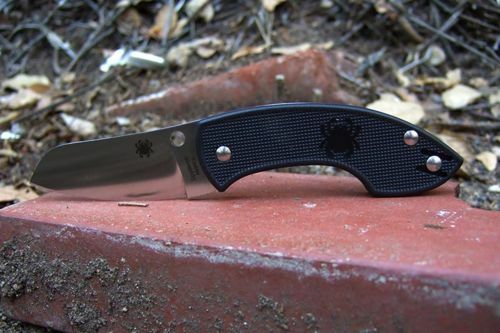 The C163 Pingo was introduced in 2012 and was designed to comply with strict Danish knife laws. Thread following the design of the Pingo, from a request for a Denmark-friendly design to the final product. "A collaborative effort of Danish knifemakers Jens Anso and Jesper Voxnaes, the Pingo was specifically designed to conform to the knife laws of Denmark, which prohibit both lock-blade folding knives and all forms of one-hand-opening knives. The Pingo’s handle is comprised of injection-molded fiberglass-reinforced-nylon (FRN) scales and a sturdy stainless steel back spacer. The scales feature a molded checkered texturing that ensures a secure grip without being too abrasive. A reversible deep-pocket wire clip provides both left and right-side tip-up carry, keeping the knife accessible for immediate use while blending unobtrusively with virtually any color of clothing. Although designed to meet the unique needs of the Danish knife community, the Pingo’s versatile design and socially friendly demeanor make it a perfect choice for knife users everywhere. It not only transcends the limits of the traditional non-locking pocketknife, but also redefines Spyderco’s own definition of a SLIPIT because of its purposeful two-hand-opening design." 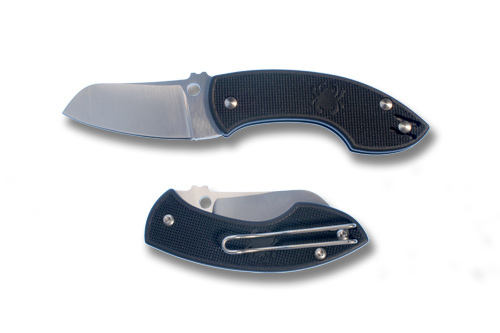 The C163 Pingo in Spyderco's online catalog. Q: Why were the "bunny ears" omitted on the production version? A: Sal cited negative feedback: The "Bunny ears" are not a requirement for the design. They were a suggestion. I don't know that we can remove them from the first run, but I'll check. Thanx for the input. The blokes on the British Blade forums didn't like the "bunny ears" either. ↑ The reason for deleting the "bunny ears". This page was last modified on 13 October 2017, at 04:24.